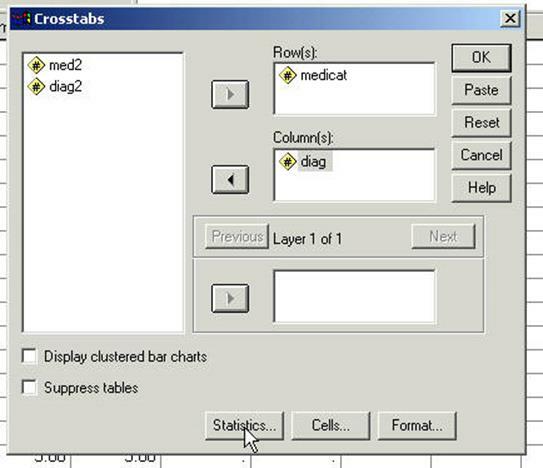 This next example is taken from clients in a psychiatric setting and taking medications. The notion is that specific medications should be associated with diagnosis. Consequently, diagnosis is crosstabulated with medications taken. 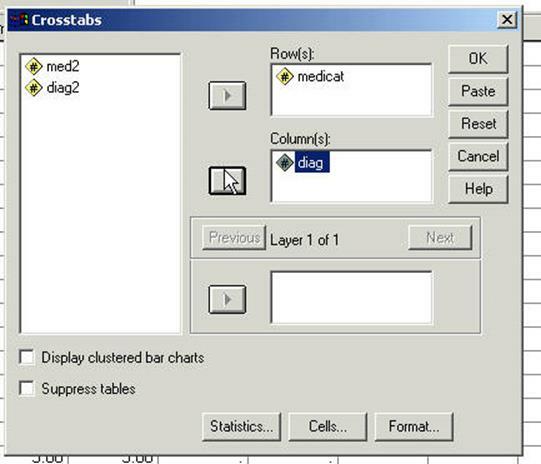 Run crosstabs in the following manner to get the chi square. Click Paste and the following syntax file is generated. Run the program. The following output is generated. 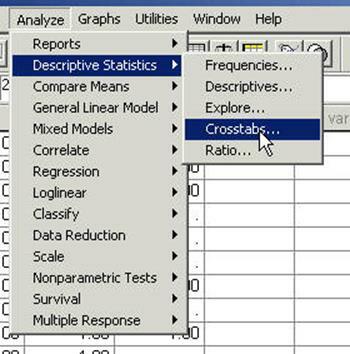 The problem with the above data is that one does not know which of the cells are significantly different. Consequently, it is not known whether the correct medications were administered to the appropriate client. 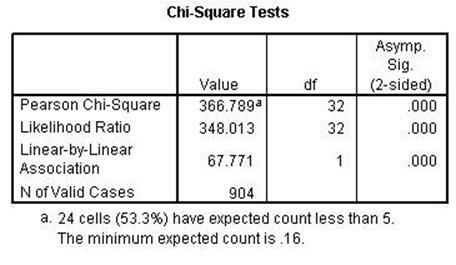 Chi square only indicates that some of the cells are different from some other cells. 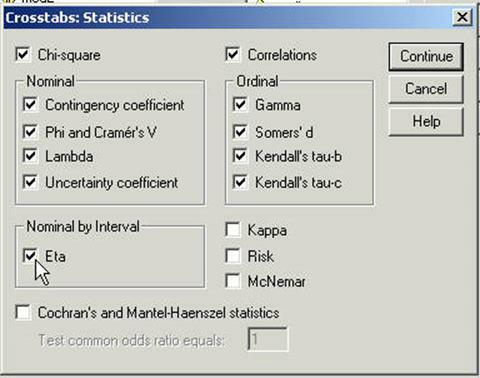 The differences must be tested pairwise. 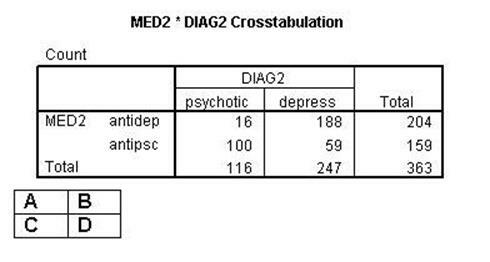 For example, the two diagnosis "affective" and "psychotic" can be compared as to whether they are receiving "antidepressive" and "antipsychotic" medications respectively. The following examples demonstrate. 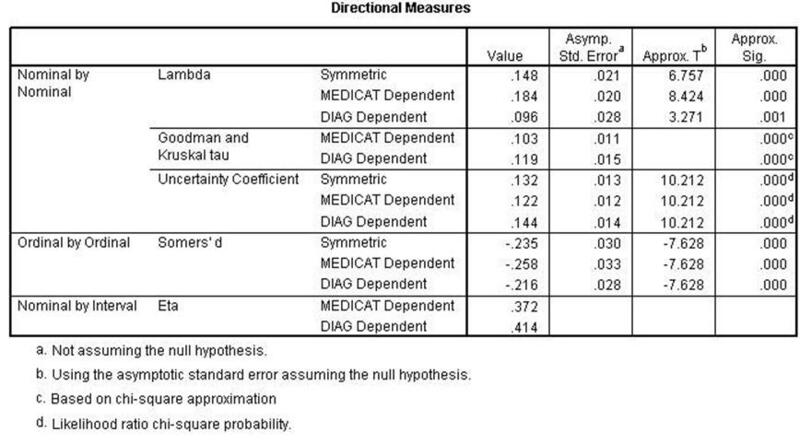 In the 2 X 2 contingency table above one can test whether there is a differential administration of medications to clients with different diagnoses. 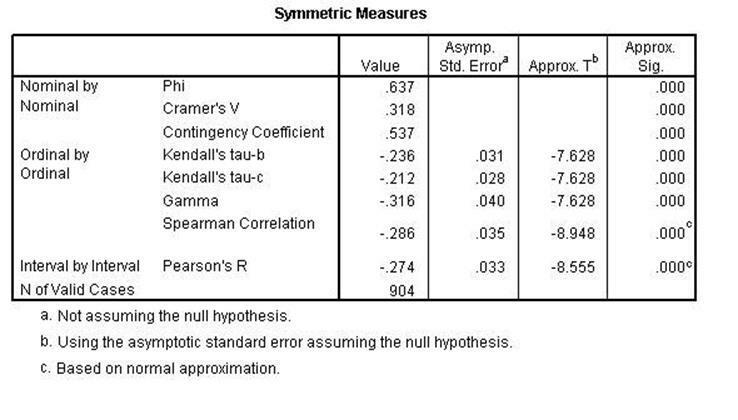 It was mentioned above that when the contingency table was large one could not determine which of the cells were significantly different from other specific cells. In the case of the 2X 2 one can make such a determination. 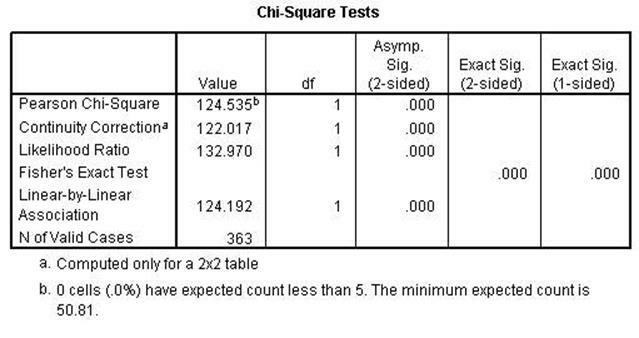 The Chi Square will determine whether cells A and D are different that cells B and C (see small table above for reference). If cells A and D are different than cells B and C one concludes that medications of antipsychotic and antianxiety were differentially administered to clients with psychotic and affective disorders.